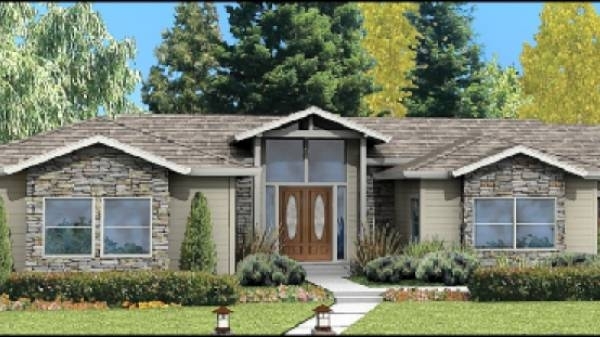 The San Rafael panelized kit home is a spacious plan with vaulted ceilings, bay windows, and a grand entry. The open living and dining areas flow into a separate family room with a picturesque view of the backyard. The kitchen, laundry room, and half bath are conveniently located only steps away from the main living areas. This plan has four bedrooms, one of which can be adapted for use as a master retreat, or den. Lastly, the third-car area of the garage can be easily modified as a fifth bedroom, home office, or shop. 2) Plans are engineered for light-weight tile and no snow and/or maximum of 85 mph wind. Exposure "C" and/or Seismic Zone D. Greater design loads by quote only. 3) 4 sets of plans, including 3 original engineered stamped sets and 1 copy. 5) Plan changes due to California Fire Hazard Severity Zone add $180 to Base Plan Set price. 6) Plan engineering costs may increase subject to local building ordinance. 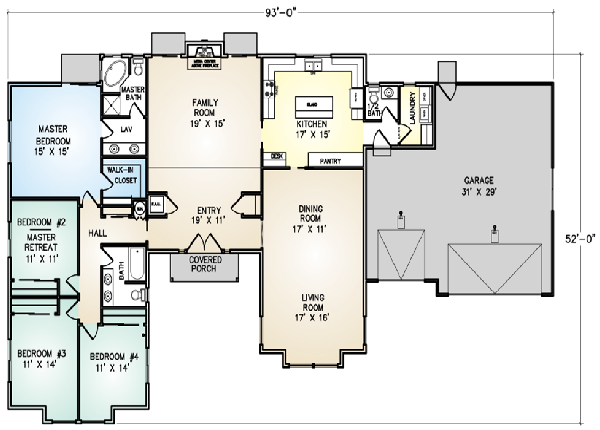 7) Home Plans are only sold as part of our building system. building footprint for the ideal placement on your building site. See what all four sides of the building looks like. picked out and arrive at an anticipated budget for these items. Website by IDL Web Inc.